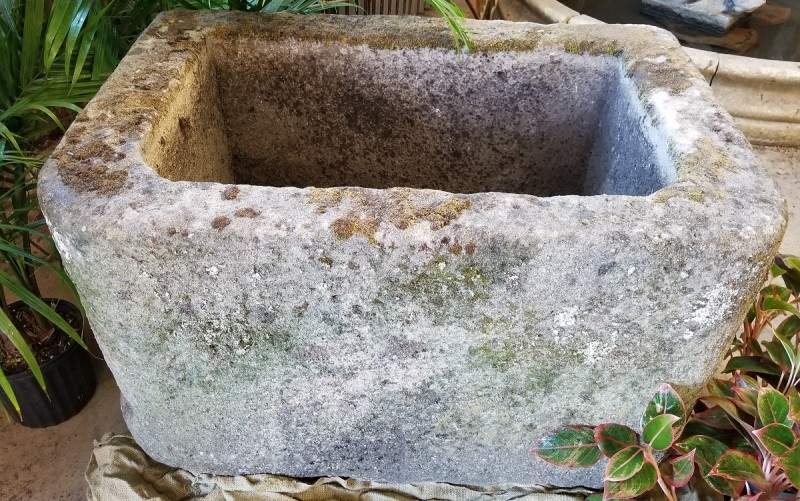 An early 19th century English hand carved, stone D-shape trough from Yorkshire. 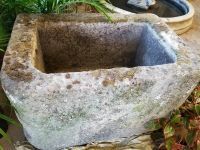 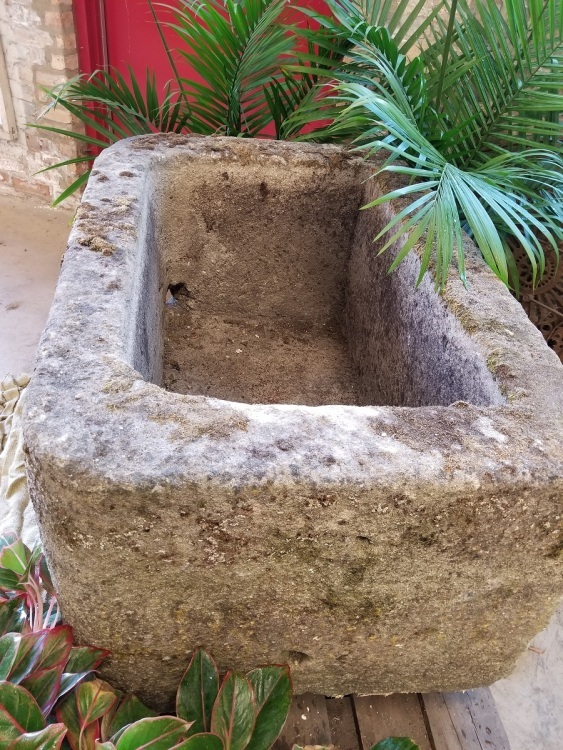 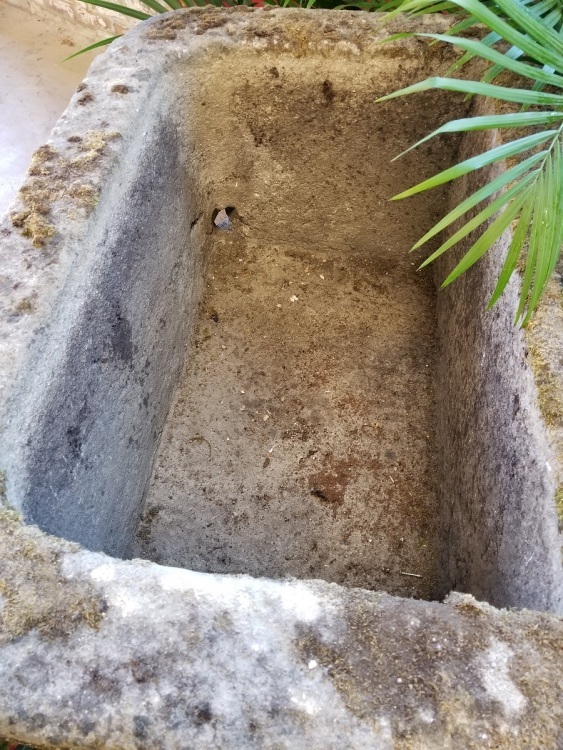 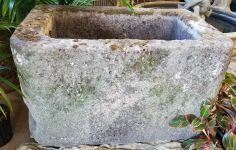 The D-shape form is quite often referred to as a "pump trough" and typically would have been used to collect overflow water in tandem with a cast iron pump that would be affixed on its long flat side. 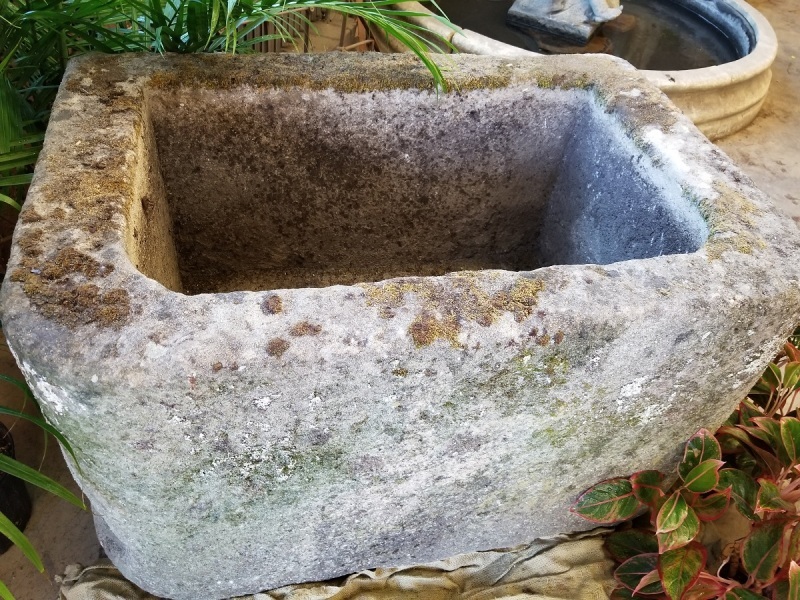 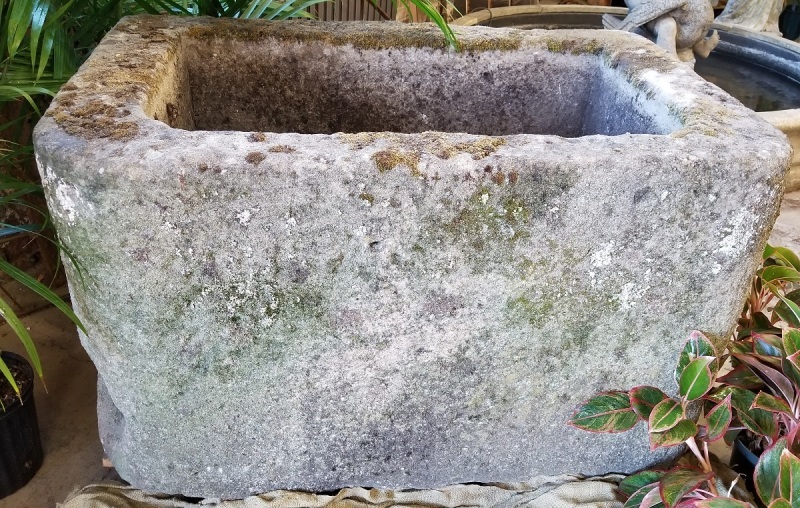 It would make a fantastic water feature or perhaps alternatively, quite the statement and focal point as a featured planter.